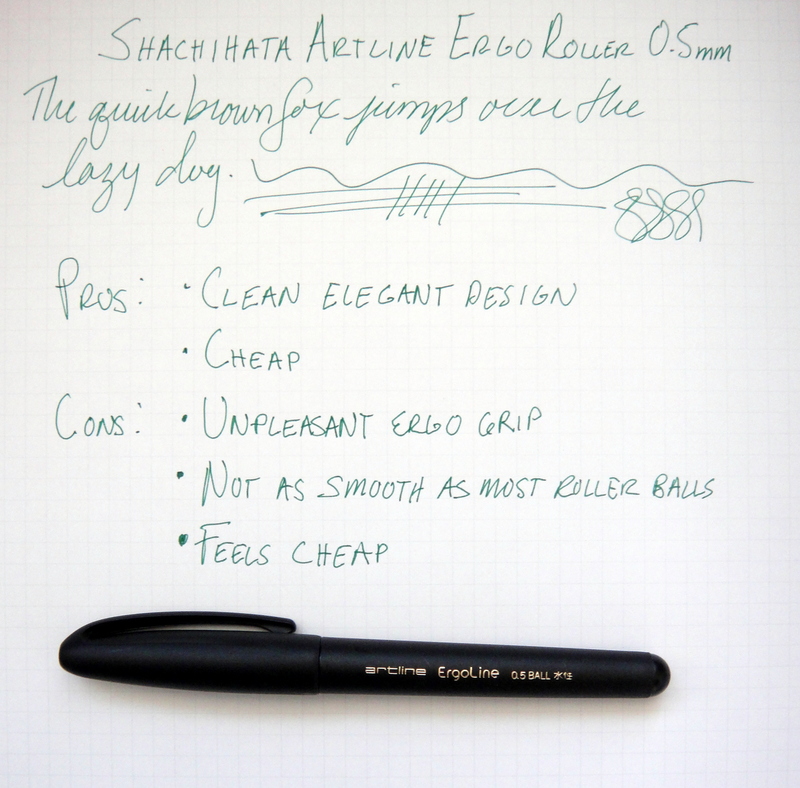 The Shachihata Artline Ergoline (I am amazed they could only fit “line” into the name twice) is an affordable disposable roller ball pen with a large plastic body and an ergonomic grip. The pen uses a water-based ink with a ceramic ball. I compared it against the Pentel EnerGel Euro and was surprised that the Ergoline moved across the paper with less resistance, despite this fact, the tip feels scratchy…it’s a weird combination. The Ergoline is one of the fatter disposable pens I have come across at nearly half an inch thick at its widest point. It’s length is pretty standard at 5.5″ long capped and 6.25″ posted. I like the matte plastic black body and inset gold lettering which gives the Ergoline an air of quality. The cap has a nicely integrated clip. Unfortunately, once you take of the cap and see the shiny black plastic grip section with two large seams the quality look goes out the window. The ergonomic grip felt cheap in hand and took a bit to get used to. Apart from the grip I like this pen for $2; it has a nice clean look to it and writes relatively well. 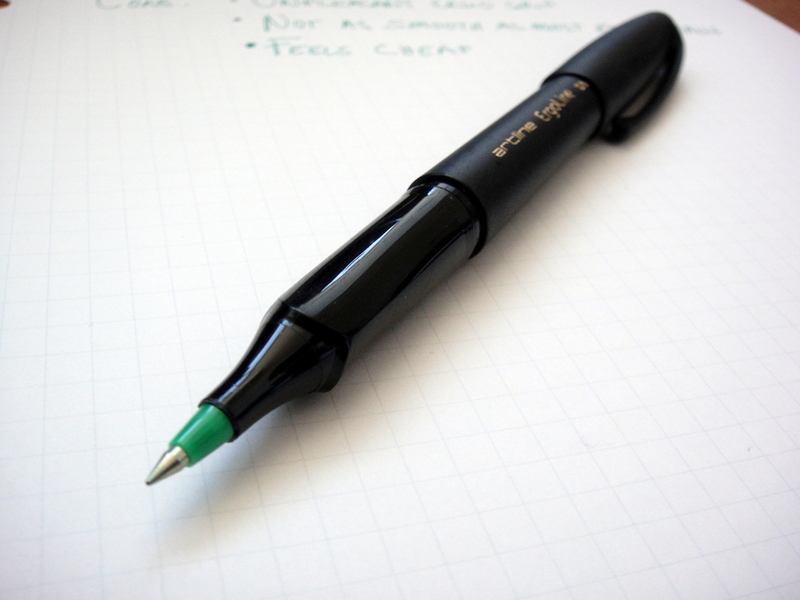 The Ergoline comes in black, blue, red, and green ink with a 0.5mm tip.